When I’m not shooting my shotguns I enjoy the quieter and cheaper hobby that is air gun shooting. Like most shooters in the UK I started out with an air rifle, mine being a Chinese made SMK 19. I put thousands of rounds through that old gun, all with open sites and all at tin cans and spinner targets. However as the old SMK wore out I decided it was time for an upgrade. I knew I wanted a springer as I didn’t want to invest in air tanks and pumps. I also knew I wanted something with a good trigger as this was the Achille’s heel for my otherwise excellent SMK. 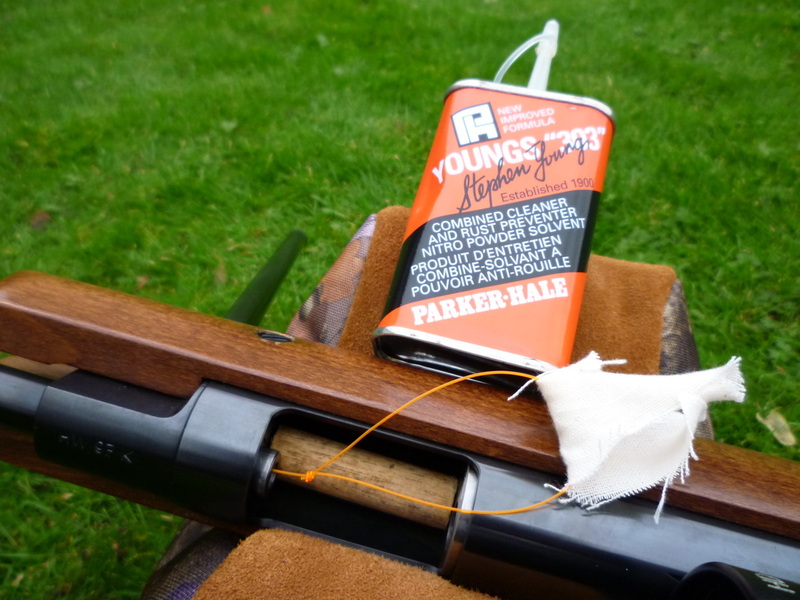 The air rifle rested on a Jack Pike shooting bag filled with polystyrene bean bag filling. Springers don’t like bi-pods much so this give a nice long range shooting platform in the field. ​Some research online threw up a few makes to look out for, namely Weirhauch, Air Arms and Walther. Armed with my background reading I decided a Weihrauch HW95 suited my requirements and budget so I went down to my local gun shop to buy the one they had advertised. Unfortunately it was sold by the time I got there, so I had a rummage through the racks and found two contenders. The first was a Walther LGV in .22 with a mil-dot scope. This was an ex-demo and up for £395. The second was a Weihrauch HW97K in .22. From my reading this (along with the TX200 from Air Arms) represented the Holy Grail of spring guns. 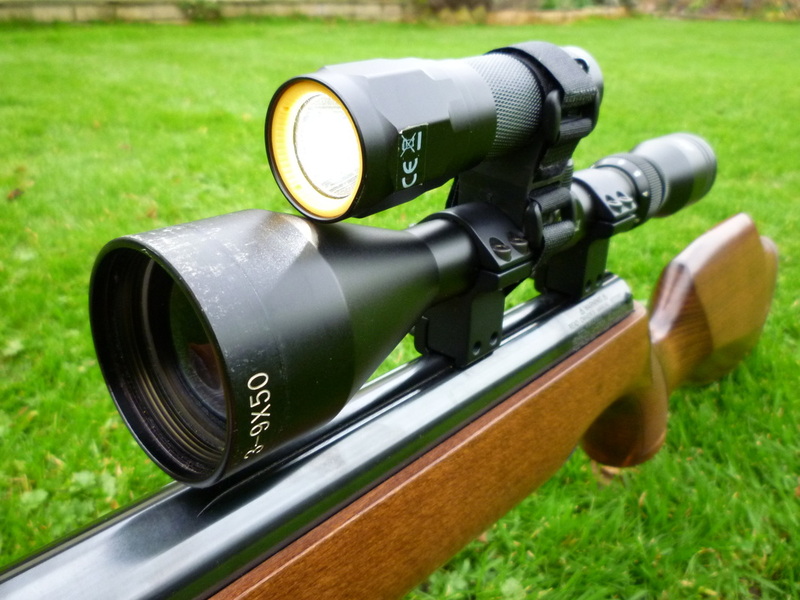 It was second hand and came with a 3-9 x 50 Hawk Sport HD scope and rifle slip. The RDF was completely open about the fact the gun had only just come in and it hadn’t been through the workshop. However at £295 I wasn’t leaving without it. LED torch and mount from Amazon cost less than £20 and easily lets me shoot at night to sensible airgun ranges. The rifle came with a 3-9 x 50 Hawk Scope with a 30-30 reticule. Turn out it’s tricky to take photos through a scope! A lot of research followed. It looked like I was going to need a complete new set of seals, and that the gun needed a damn good clean inside too. Parts were duly ordered online from T. W. Chambers and the gun stripped down. Whilst I waited for the new parts I thoroughly degreased everything with white spirits. 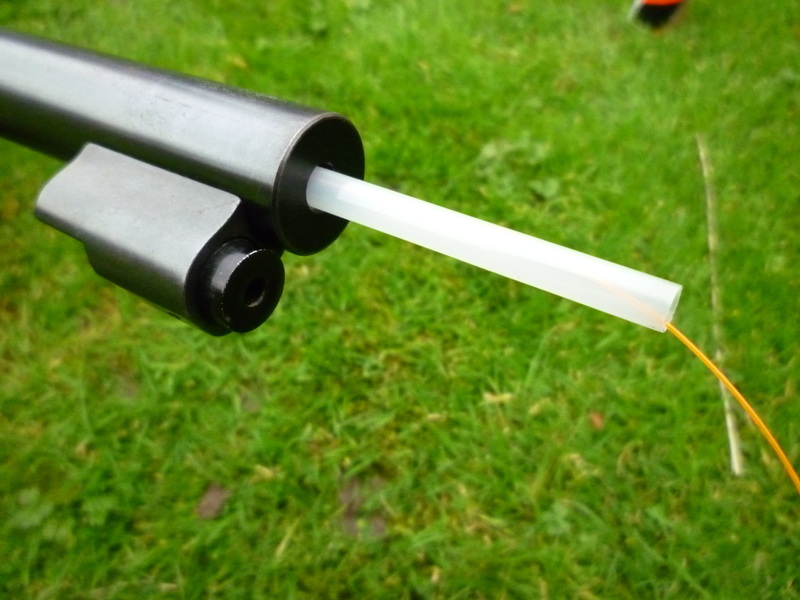 I also made a fishing line pull-through cord and used it to clean the barrel. You will need to put a straw in the moderator to get a pull-through cord through the ‘baffles’. My setup for cleaning the barrel. Safety first - note the wood which would stop the breaching slamming shut if the spring were to fire. ​As the gun was apart I also wanted to try and smooth the firing cycle. I played with the idea of “tuning kits” but these seemed very expensive and I didn’t want the hassle of fitting one and finding the gun was over the legal limit. I therefore took a coil off the main spring following this video and added 3 M10 nylon washers to fill the space. I added the new breach and pistol seals and put the gun back together. I fitted my Combro Chrono and fired a test pellet. The firing cycle was beautiful. It was smooth, with none of the vibration it had suffered from before. It was putting out 10.2 ft/lb. Lower than I would have liked, but I decided to let the new seals bed in before I played with it too much. I went to the JSB Exacts (5.52 mm) and tried shooting some groups. They were spot on, and I’ve never changed since. 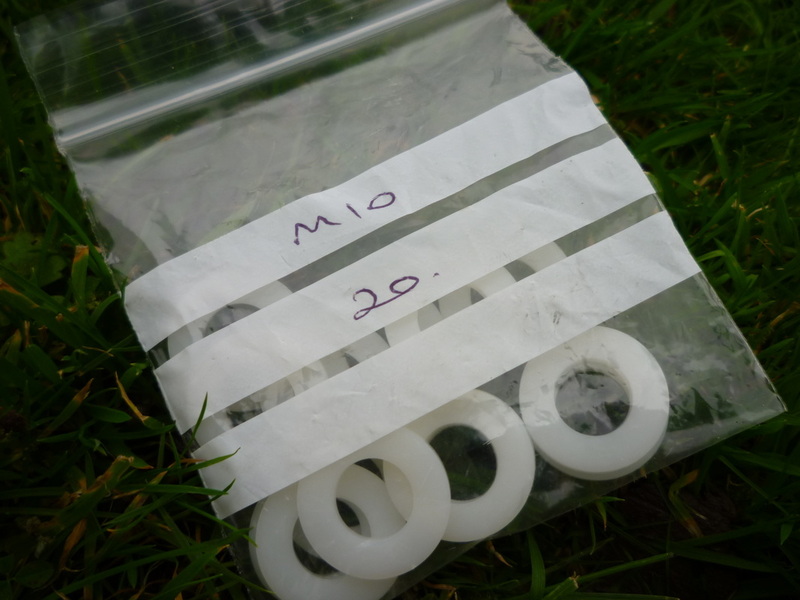 The world’s cheapest “tuning kit” – 99p from eBay! If you have an air rifle then you need a chronograph. 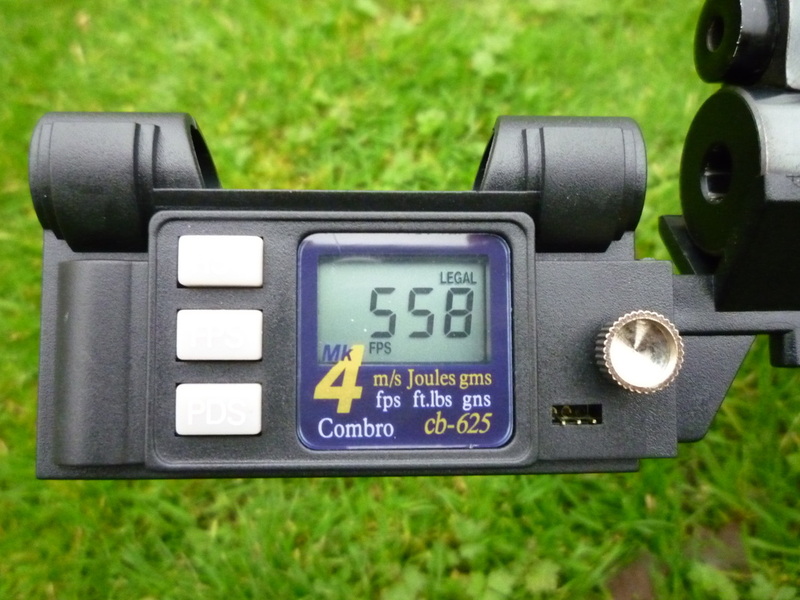 Yes it is £50 but do you really want to risk prosecution for having a gun that is over the power limit? This was all a couple of years ago now. Cut forward to the present day and the rifle has settled on a comfortable 11 ft/lb. Importantly I’m getting variations in muzzle velocity of no more than 3 fps which is incredible given the amateur surgery I subjected the mainspring to! Despite its simplicity I am impressed by the moderator that comes fixed to the gun. It is quite simply two springs that sit inside one another. The muzzle blast is considerably less noticeable than my unmoderated SMK if you’re shooting indoors. There’s also a noticeable distance to bystanders when shooting outside, which will certainly help if you intend to use this as a hunting rifle. For anyone wanting to be particularly quite there is an adaptor available which allows a second moderated to be screwed onto the end of the first. I’m not sure this would ever really be necessary though. The HW97K comes with a surprisingly simple yet effective moderator. Now that I’m happy with the consistency and accuracy of the rifle I have been playing with a piece of software called ChairGun Pro. This is a great piece of software that shows the trajectory of your pellet over given distances. I’ve found it useful for 2 things. 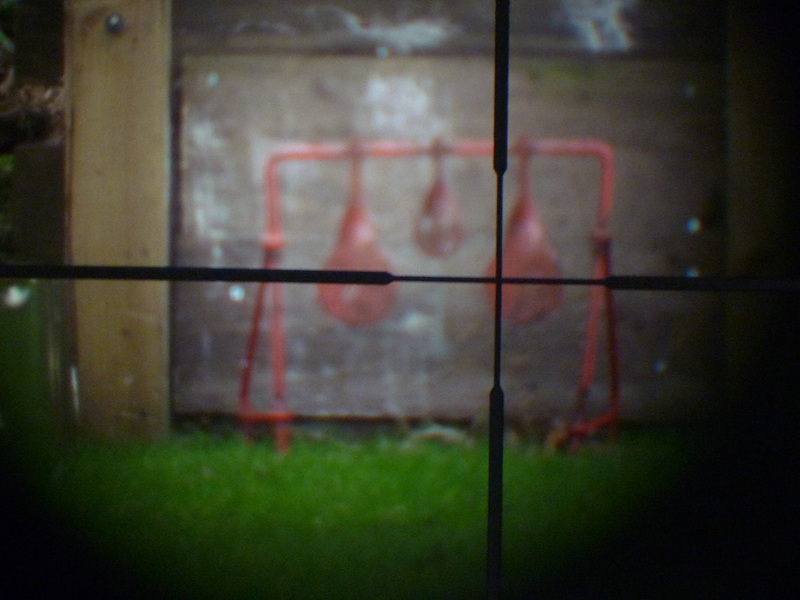 The first is finding the optimum zero distance for my rifle to give the greatest ‘point blank’ range. For my rifle at 558 fps with JSB Exact pellets this is about 27 yards. The second is understanding why I was consistently missing close targets. Although it is no substitute for experience behind the trigger it certainly helped me understand shooting and longer (and shorter) distances. I’m a shotgun shooter at heart but getting this HW97K out in the field has been a fascinating project. If I could change one thing about the gun I’d make it a pound lighter but apart from that it’s a very accurate gun with a superb trigger.